CESI has been in business for over 26 Years. Undisclosed up-front and monthly fees. Money-back guarantee: CESI offers a 100 percent money back guarantee, which is uncommon in the industry and can be very beneficial to customers if they are not satisfied with the services they receive. Lack of transparency: CESI doesn’t disclose the actual interest rates offered on consolidation loans and doesn’t disclose the up-front or monthly fees associated with using their services. Long tenure in the industry: CESI has a long track record at 26 years of operation. This is above average in the industry. Lawsuits: CESI has been a part of two lawsuits, one of which has involvement with the IRS, alleging that the company was abusing its non-profit status and operating more like a for-profit institution. This is very troubling and should be considered before committing to using their services. Multiple industry accreditations: CESI has NFCC, FCAA, and AICCCA accreditations. This shows a willingness on the company’s part to address concerns, have books audited, and comply with sound business practices. CESI also provides clients with certified credit counselors. Poor customer service: Customers have often complained over poor communication with CESI’s customer service and slow speed. There have been complaints of confused customer service agents and generally lackluster client care overall. Our recommendation: Due to their lack of transparency and poor reviews, we recommend another company for debt consolidation and counseling services such as Consolidated Credit. A customer representative can provide a free preliminary financial consultation over the phone. In addition, the website has a “Debt Relief Calculator” tool that is useful for estimating your debt management plan before talking to a counselor. 26 years. They have been in business since 1991. The website provides many resources such as videos, articles and webinars which can be utilized to increase your financial understanding. There is also an online education course called the CESI University Curriculum which is an instructional program that can be accomplished from home free of charge. There is no penalty for canceling before the debt management program is complete. This program is not contract-based, and therefore does not hold the customer to any binding agreement. CESI Solutions provides customers with a 100% Satisfaction guarantee. Upon entering into a debt management plan, the customer has six months to decide if the program is meeting expectations. If you decide to terminate service, you will be reimbursed for all the service fees paid up to that point. CESI Solutions only manages unsecured debt such as credit cards, medical bills, and past-due utility bills. Secured debts like your home or car cannot be included in the debt management plan. Yes, they offer a mobile friendly site. Although there isn’t an official mobile app, the website looks great. It functions sufficiently on mobile devices while offering a smooth and comfortable user experience. 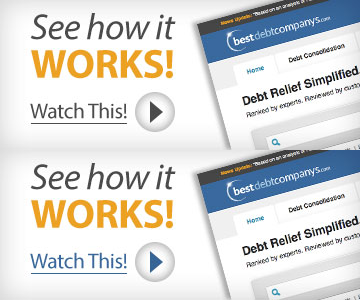 Tools such as the Debt Relief Calculator function properly. Agents are available between the hours of 8 a.m. and 9 p.m. EST. In addition to debt management and consolidation, CESI Solutions also offers housing, credit and bankruptcy counseling as well as financial education resources. The Assure Money Services is a suite of services designed to help older adults with disabilities as well as their caregivers. This company also provides Representative Payee services to SSA beneficiaries. Lastly, WiseTrac is offered to employers who wish to offer financial education courses to their employees. This service can also be utilized by individual customers looking for a way to expertly track their income and thus gain financial control. The minimum debt level to qualify is $2,500. CESI offers an online dashboard for their customers through the CESI website. Once a customer’s account is active, they are able to monitor their financial accounts and ensure their benefits are being applied properly. CESI’s counselors are certified within 6 months of employment by agencies such as Association of Independent Consumer Credit Counseling Agencies (AICCCA), the Association for Financial Counseling Planning and Education (AFCPE), the National Institute for Financial Education (NIFE), and the Center for Financial Certifications. CESI is not ISO certified. Cesi has helped me pay off my debt that I could not handle on my own. I have nothing but good feedback for Cesi. Customer service has been great for me. As I cards are paid off, I can call and update the balances and they handle these changes right away. This is my last month is the program and I am very thankful for all they helped me accomplish. I’m not sure where or who the bad reviews are dealing with, but I’ve been in the CESI program for 3.5 years with one more to go to get our debts paid off. I have been nothing but pleased. From the get go we knew what the negotiated rates were with each credit company. we also knew there was a$30 per month fee. Every time we have been on the phone with their staff, we have had superb folks who were respectful and helpful. I’m thinking the bad reviews must be confused with a diff company. If not, just because you queued your debt up to begin with is no fault of theirs. I LOVE CESI! I recommend it highly! They reached out to me and made it sound like a completely different kind of program. When I called to cancel, the rep on the phone got very defensive and threatened to send a recording of our conversation to his supervisor. Who is who I asked to talk to in the first place. Very unprofessional, and put me on hold without even telling me. DONT SIGN UP FOR THIS PROGRAM! DO NOT GIVE THESE PEOPLE YOUR BANK INFORMATION!!!!!! I was double billed my first month in this program and they refused to fix their error. Their representative told me that it was my bank’s responsibility to fix CESI’s errors and refused to refund my money or transfer me to a supervisor. Extremely shady and predatory conduct AVOID. A very scary encounter to say the least. I spoke with a person who I thought was a representative of this company only to realize after a long 45 minute conversation of exchanging my information to this so called cesi employee that she was not an employee of there’s at all. Now I have fears of identity theft ! I’ve spoken to at least 4 more representatives of this company and have come to no resolution. Iwill get to the bottom of this I think they’ve forgotten one thing I can find out who has pulled my credit and I’m hoping they back there word with the fact she was not there employee. Poor customer service and an unwillingness to address and rectify concerns. This is a great program for people that really need help with debt. They also share a lot of content to help you during and after. Not taking responsability for their mistake and following up on what they told you.still looking forward to talk to a supervisor of a manager and not happening so far.still asking for recorded conversation to be sent to my email to show that they’ve done the mistake and messed up my credit score and still no response. It is a very dysfunctional company. I’M LOOKING INTO LEGAL HELP. I was told numerous times that this consolidation would not affect my credit. I was on time with all my payments when I signed up for cesi. I consolidated only because I was told that they would reduce my payments and it would never affect my credit score. I have several recordings proving the so-called promise. Documents were never sent on time and I had to do everything. I would not recommend this company. Because of how slow they work, my credit has gone from bad to worst, im making calls to creditor and once i tell them what a creditor wants them to do, they still dont do it. things has been pending for 3 months, ok so how long do you wait before getting back with a creditor. Don’t know how to get out of this mess, without messing up the the few they did get accepted into the program. submitted paperwork to them over 2 weeks ago and my acct is still not updated. I have rated CESI, below Average, as I have been experiencing some “confused”, employees, who can’t seem to get the paperwork right. I have been having trouble with SS with DD, and it’s been more frustrated for me, as I try to sort out my current bills and payments. I hardly ever hear from CESI, whether, I am doing good, bad, or indifferent to paying off some existing accounts to which CESI, has payment control. I think I can do as good a job on my own, and save me $43 per month, which I don’t understand this fee, or any one that charges a fee for this alleged “non-profit” business. Then there is the question of whether or not CESI, is available 24/7, as “advertised”. So, I may drop CESI, and go it alone, on the existing “creditors”, and take the “challenge”. Thanks.